Sub Rosa condensa nel doppio Mondo Black Chamber tutto ciò che David Toop ha prodotto per l'etichetta negli anni tra il 1996 e il 2003, brani sparsi e album interi: Boneless, Kolade Spirit, Tricyrtis Latifolia, 37th Floor at Sunset e Black Chamber, prezioso quest'ultimo anche per la presenza dell'indimenticabile Lol Coxhill. 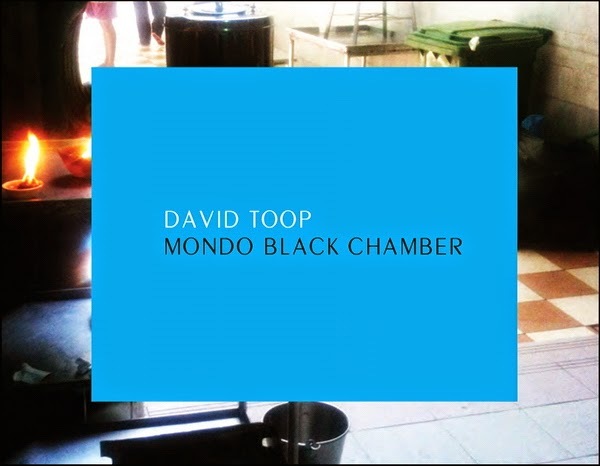 Scrive Niels Van Tomme per Other Music: "The album Black Chamber, from 2003, occupies the majority of the second disc of this double CD of recordings made by David Toop for the renowned Sub Rosa label. A brooding, sensual, noirish sound spectacle, it pushes the idea of ambient music towards exciting new territories. Touching upon a multitude of avant-garde escapades, such as field recording, improvisation, exotica, sound collage, and noise, to only name the most immediately apparent ones, the record offers the culmination of Toop's multifaceted musical interests, which famously have their origins in the 1970s London improv scene. The album starts, rather misleadingly, with chirping, unpleasant high-frequency tones, after which a vaguely Japanese sound design and weirdly shuffling rhythm make room for Lol Coxhill's dark saxophone arpeggios. This bold, accomplished sense of musical deception remains fully realized throughout the record's brilliant, sometimes irritating but always amusing, 50-plus minutes, which offer a truly captivating, kaleidoscopic sense of musical adventure."